1. Cunningham, M.W. Pathogenesis of group A streptococcal infections. Clin. Microbiol. Rev. 2000, 13 (3), 470-511. 2. Bisno, A.L. ; Brito, M.O. ; Collins, C.M. Molecular basis of group A streptococcal virulence. Lancet, Infect. Dis. 2003, 15. 3, 191-200. 3. Rowley, A.H.; Shulman, S.T. Kawasai syndrome. Clin. Microbiol. Rev. 1998, 11 (3), 405 -414. 4. Proft, T.; Sriskandan, S.; Yang, L.; Fraser, J.D. Superantigens and streptococcal toxic shock syndrome. Emerg. 16. Infect. Dis. 2003, 9 (10), 1211-1218. 5. Swedo, S.E. Sydenham's chorea: A model for childhood autoimmune neuropsychiatric disorders. JAMA 1994, 272 (22), 1788-1791. 6. Snider, L.A.; Swedo, S.E. Post-streptococcal autoimmune disorders of the central nervous system. Curr. Opin. Neurol. 2003, 16 (3), 359-365. Wade, J.; Thomson, G.; Schwartz, B.; Low, D.E. An immunogenetic and molecular basis for differences in outcomes of invasive group A streptococcal infections. Nat. Med. 2002, 8 (12), 1398-1404. 18. 8. Muller-Alouf, H.; Geoffroy, C.; Geslin, P.; Bouvet, A.; Felten, A.; Günther, E.; Ozekowski, J.-H.; Alouf, J.E. Streptococcal pyrogenic exotoxin A, streptolysin O, exoenzymes, serotypes, and biotype profiles of Streptococcus pyogenes isolates from patients with toxic shock syndrome and other severe infections. Zentralbl. Bakteriol. 1997, 286 (3), 421-433. Ferretti, J.J.; McShan, W.M. ; Ajdic, D.; Savic, G.; Lyon, K.; Primeaux, C.; Sezate, S.; Suvorov, A.N. ; Kenton, S.; Lai, H.S. ; Lin, S.P. ; Qian, Y.; Jia, H.G. ; Najar, F.Z. ; Ren, Q.; Zhu, H.; Song, L.; White, J.; Yuan, X.; Clifton, S.W. ; Roe, B.A. ; McLaughlin, R. Complete genome sequence of an Ml strain of Streptococcus pyogenes. Proc. Natl. Acad. Sci. U. S. A. 2001, 98 (8), 4658-4663. Beres, S.B. ; Sylva, G.L. ; Barbian, K.D. ; Lei, B.; Hoff, J.S. ; Mammarella, N.D.; Liu, M.Y. ; Smoot, J.C.; Porcella, S.F. ; Parkins, L.D. ; Campbell, D.S. ; Smith, T.M. ; McCormick, J.K.; Leung, D.Y. ; Schlievert, P.M.; Musser, J.M. Genome sequence of a serotype M3 strain of group A Streptococcus: Phage-encoded toxins, the high-virulence phenotype, and clone emergence. Proc. Natl. Acad. Sci. U. S. A. 2002, 99 (15), 10078-10083. Smoot, J.C.; Barbian, K.D. ; Van Gompel, J.J.; Smoot, L.M. ; Chaussee, M.S. ; Sylva, G.L. ; Sturdevant, D.E. ; Ricklefs, S.M. ; Porcella, S.F. ; Parkins, L.D. ; Beres, S.B. ; Campbell, D.S. Genome sequence and comparative micro-array analysis of serotype M18 group A streptococcus strains associated with acute rheumatic fever outbreaks. Proc. Natl. Acad. Sci. U. S. A. 2002, 99 (7), 4668-4673. Alouf, J.E. 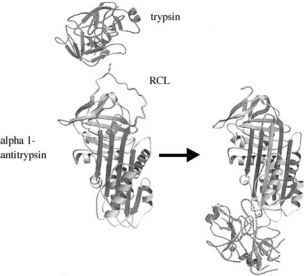 Streptococcal toxins: Streptolysin O, strepto-lysin S, erythrogenic toxins. Pharmacol. Therap. 1980, 11 (3), 661-717. Llwelyn, M.; Cohen, J. Superantigens: Microbial agents that corrupt immunity. Lancet, Infect. Dis. 2002, 2, 156162. Alouf, J.E. ; Muller-Alouf, H. Staphylococcal and streptococcal superantigens: Molecular, biological and clinical aspects. Int. J. Med. Microbiol. 2003, 292 (1), 429 -440. Champagne, E.; Huchenq, A.; Sevin, J.; Casteran, N.; Rubin, B. An alternative method for T-cell repertoire analysis: Clustering of human V-beta subfamilies selected in response to staphylococcal enterotoxins B and E. Mol. Immunol. 1993, 30 (10), 877-886. Smoot, L.M. ; McCormick, J.K.; Smoot, J.C.; Hoe, N.P. ; Strickland, I.; Cole, R.L. ; Barbian, K.D. ; Earhart, C.A. ; Ohlendorf, D.H.; Veasy, L.G. ; Hill, H.R. ; Leung, D.Y. ; Schlievert, P.M.; Musser, J.M. Characterization of two novel pyrogenic toxin superantigens made by an acute rheumatic fever clone of Streptococcus pyogenes associated with multiple disease outbreaks. Infect. Immun. 2002, 70 (12), 7095 -7104. Arcus, V.L. ; Proft, T.; Sigrell, J.A. ; Baker, H.M.; Fraser, J.D. ; Baker, E.N. Conservation and variation in superantigen structure and activity highlighted by the three-dimensional structures of two new superantigens from Streptococcus pyogenes. J. Mol. Biol. 2000, 299 (1), 157-168. Sundberg, E.J. ; Li, H.; Llera, A.S.; McCormick, J.K.; Tormo, J.; Schlievert, P.M.; Karjalainen, K.; Mariuzza, R.A. Structures of two streptococcal superantigens bound to TCR chains reveal diversity in the architecture of T cell signaling complexes. Structure 2002, 10 (5), 687-699. D.; Fraser, J.D. The streptococcal superantigen SMEZ 22. exhibits wide allelic variation, mosaic structure and significant antigenic variation. J. Exp. Med. 2000, 191 (10), 1765-1776. 23. 20. Muller-Alouf, H.; Proft, T.; Zollner, T.M. ; Gerlach, D.; Champagne, E.; Desreumaux, P.; Fitting, C.; Geoffroy-Fauvet, C.; Alouf, J.E. ; Cavaillon, J.-M. Pyrogenicity and cytokine-inducing properties of Streptococcus pyogenes superantigens: Comparative study of streptococcal mito- 24. genic exotoxin Z and pyrogenic exotoxin A. Infect. Immun. 2001, 69 (6), 4141-4145.
inflammatory cytokine pattern induced by Streptococcus pyogenes erythrogenic (pyrogenic) exotoxins A and C superantigens. Infect. Immun. 1996, 64 (4), 1450-1453. McCormick, J.K.; Yarwood, J.M. ; Schlievert, P.M. Toxic shock syndrome and bacterial superantigens: An update. Ann. Rev. Microbiol. 2001, 55, 77-104. Llewelyn, M.; Sriskandan, S.; Peakman, M.; Ambrozak, D.R. ; Douek, D.C.; Kwok, W.W.; Cohen, J.; Altmann, D.M. HLA class II polymorphisms determine responses to bacterial superantigens. J. Immunol. 2004, 172 (3), 17191726. Norrby-Teglund, A.; Thulin, P.; Gan, B.S. ; Kotb, M.; McGeer, A.; Anderson, J.; Low, D.E. Evidence for superantigen involvement in severe group A streptococ-cal tissue infections. J. Infect. Dis. 2001, 184 (7), 853860.